Author: DuBois, Brendan Set In . . . Description: Nearly 40 years after the end of the Vietnam War, the fate of those airmen listed as Missing In Action have remained a mystery... until now. In "Betrayed," award-winning mystery and thriller author Brendan DuBois writes a harrowing tale of "what if" that begins with a knock on the door. With expanded material and a new Author's Afterward for the Kindle edition. Brendan DuBois of New Hampshire is the award-winning author of twelve novels and more than 100 short stories. 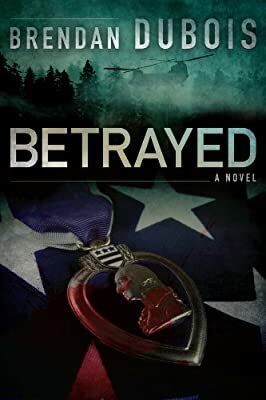 This edition is the first Kindle publication of this edition of "Betrayed," which was previously published by St. Martin's Press. His short stories have twice won him the Shamus Award from the Private Eye Writers of America, and have also earned him three Edgar Allan Poe Award nominations from the Mystery Writers of America. Cover art for this Kindle edition by Jeroen ten Berge.